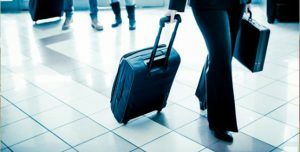 Here is a list of tips and tricks that frequent flyers can use to ease the somewhat inevitable hassles that come with regular travel. This is effectively an express lane for going through customs. It is a pre-approval where the US Customs and Border Protection authority designates you as a low-risk traveler. All it takes is a little paperwork and a quick interview. One way of saving money when booking tickets is to book two one-way tickets using two airlines. This is not always cheaper but often is. There is also the added bonus of sometimes getting more attractive arrival and departure times. Non-US carriers tend to have better in-flight amenities than domestic airlines. Basic amenities provided by Asian airlines include hot towels, pillows, and free blankets. Even the drinks are free. Rather than trying to squeeze out the max 3.4 ounces allowed for taking toiletries, make a go-bag and keep it packed and ready. Sometimes when online shopping, you can order samples of your favorite products. Have you noticed that when you return from travel, nothing works until all the cables have been put back? Avoid this by buying an extra set of all your main cables from an online shop. Keep this set packed and ready to go. The more items that you pack and keep the less you have to worry in terms of forgetting them. Costbuys provides the best online shopping experience with free shipping, to ship products direct to you. What Should You Do If Your Rental Car is Acting Up?